I made a new version of my Application Settings addin as per Sébastien’s comments in my last post. As you can see, there are new settings for the following. 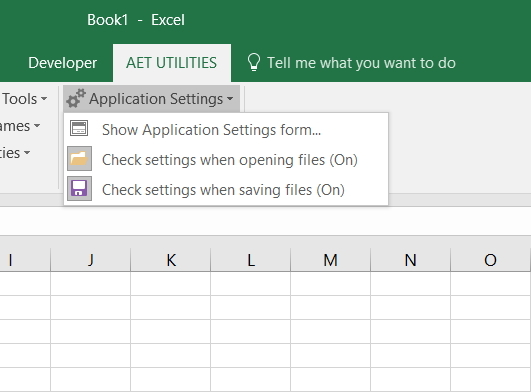 Set: Set to the number that is entered in the text box. 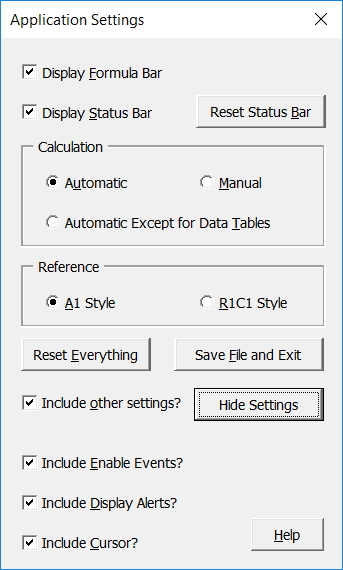 Reset: Reset to the real default or “alias” default. 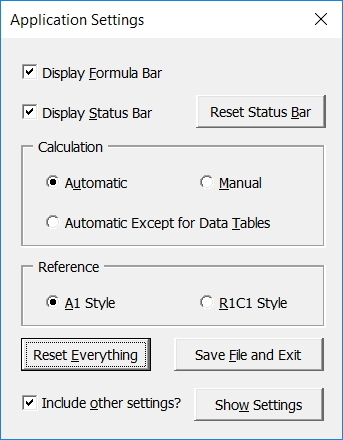 Save: Save an “alias” default instead of Excel’s real default. 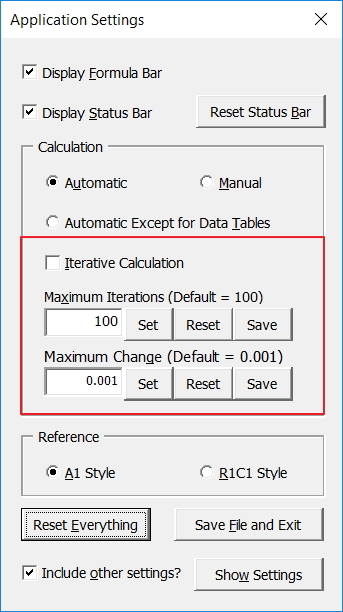 For example, if you prefer 120 instead of 100 for Max Iterations, you can set the “alias” default so that the form does not appear when opening or saving the active workbook if Application.MaxIterations is set to 120. Also, clicking the Reset button thereafter will reset Application.MaxIterations to 120. And using the Set button to set Application.MaxIterations to any other value than 120 will show the value in red font to indicate it is not the “alias” default. Hope this is useful. Download the new version here.